Galveston Island Convention Center @ 5600 Seawall Blvd. 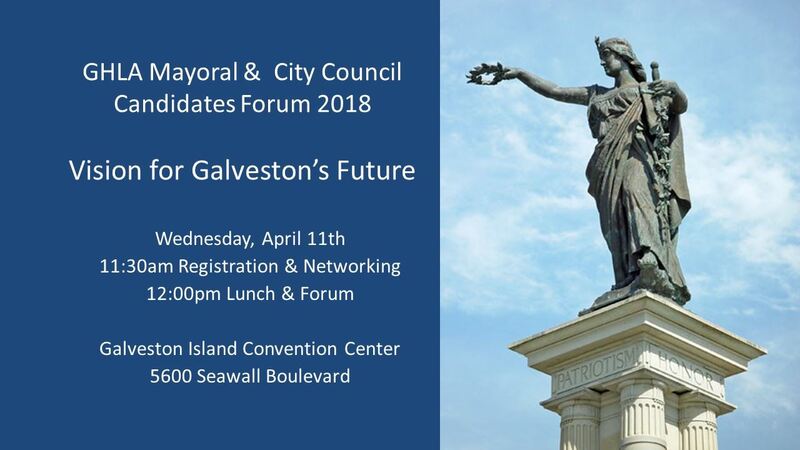 Join us on April 11th as the candidates for the Galveston's City Council and Mayor's Office discuss their visions for Galveston's future. Candidates will address issues that directly impact your individual operations as well as the entire hospitality & tourism community on the Island.